Google has announced that it will be shutting down the Google Local app for iOS on August 7th. 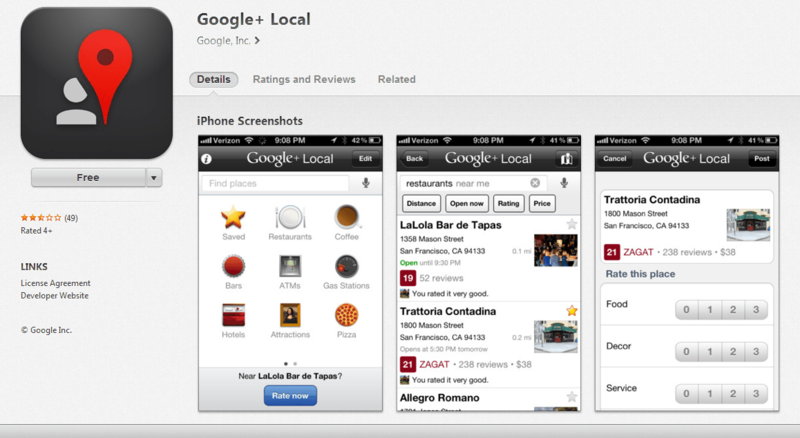 Google Local had only released for iPhone and iPad about a year ago. Update: Google Local has been pulled out of the App Store now. Image Courtesy: Screenshot owned by Author. If used, kindly credit and link back. Thank you. However, it would be wrong to say that the application is completely shutting down because all of its features will be henceforth available in another existing app, Google Maps. Some features have already been updated and other features will soon follow. In this phase of reshuffling and revamping apps and designs by Google, quite a few apps have had to bite the dust so far, with the consequence users suffering (Read: Google Reader). In this case, not only the features have been migrated in this one. The reviews and ratings by the users will also live via Google Maps or one’s Google + profile. Google Local is nothing but mobile Google search app, which is mainly used to search for places like restaurants and other local places to visit, also providing their user reviews and ratings. Google Local was actually formerly known as Google Places, which was revamped and renamed. We’re emailing to announce that the Google+ Local app for iOS will be retired on August 7th, 2013. Learn more about Google Maps for iOS. This means that after August 7th, you’ll no longer be able to access the Google+ Local app through your iOS device. Any reviews and ratings that you created will be available on your Google+ profile and in the Google Maps iOS app. Thank you for using Google+ Local for iOS. Apart from retiring the Google Local app, Google has also already announced its plans to shut down Google Latitude as well, just 2 days after Google Local shuts down. Google also recently paid a huge amount of money to buy Waze, an Israeli startup, a GPS based navigation app.